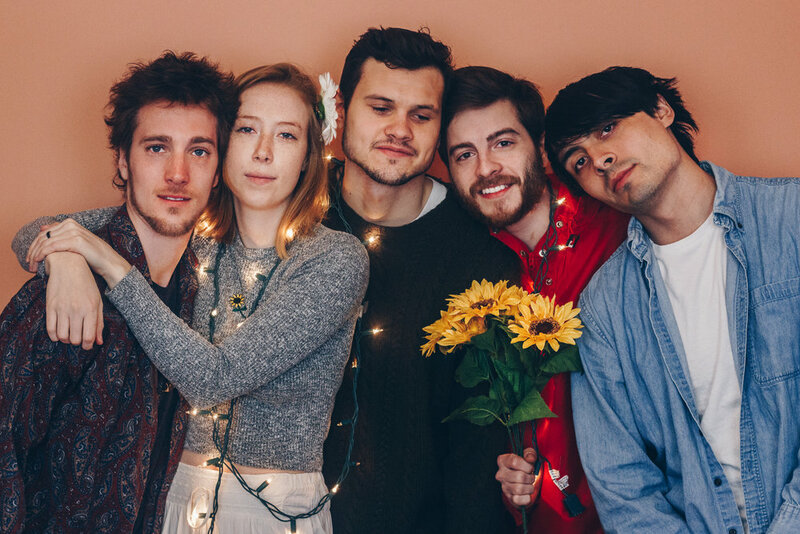 Chicago folk rock outfit Elk Walking are back with their first single since the release of their album Between Us, which they self-released last August. A duet between Julian Daniell and Savanna Dickhut of the band, "Ride The Tide" will be out on Spotify and other streaming platforms tomorrow, but we have your exclusive first listen of the chilled-out Summer tune below. First, see what Julian had to say about the track. We’ve just finished the first two songs in our home recording venture, something we decided to try after recording the last two releases at professional studios. The process proved to be much more beneficial to us as a group than we thought. Without the time constraints and having the comfort of being in our own space I think we have created some of the most natural sounding recordings yet. I believe the latest and greatest Elk Walking sound has been captured on these upcoming singles. The first release, "Ride the Tide" is a duet, as is in character for this band. I very much like the way the delivery of the song flows with Savanna singing the verses and myself singing the refrain and chorus. I wrote it about the differences in ways people change and react to the world as they age. Some people I see, even sometimes having so much against them in their lives are still somehow able to thrive and bring positive energy to themselves and those around them. I wrote one verse for these people. Other people seem to let go of who they are as they grow up, in order to fit into a box that they think is expected of them. That was verse two, and then the last is about how special it feels when you fall deeply in love, when it feels like that person and you were created for each other, maybe could never live without each other again. And yet that feeling can fade and change, or… you live your lives together till death, but either way love is only temporary. The songs message is that life is temporary. Like a ride. I suppose some people may not think that's comforting but to me it's a positive, comforting message. If you like what you hear, make sure you keep up with them on Facebook + Twitter + Instagram, and come see them play a FREE show at Shuga Records on Saturday, June 2nd at 5PM. Details here.